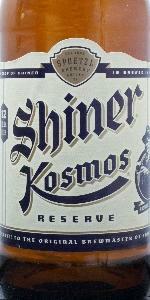 Another great brew by Shiner. I guess that I am fine with them calling themselves the beer of Texas. They are definitely one of the best breweries in the state.